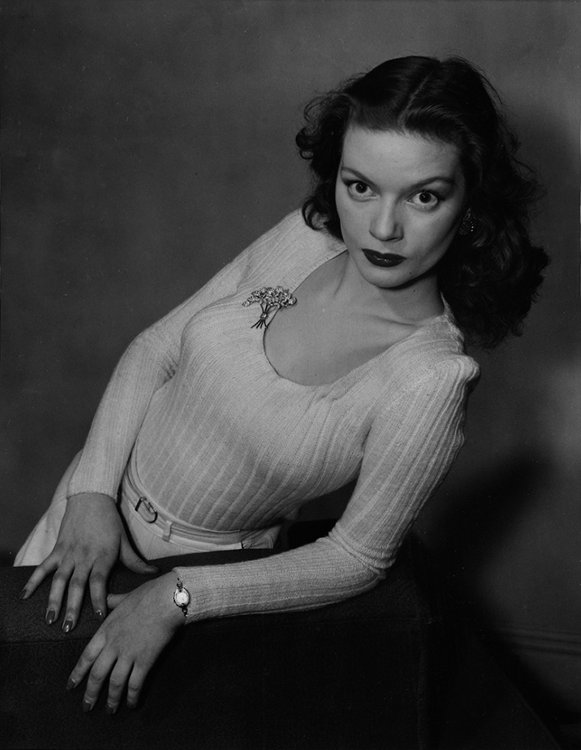 Hazel Brooks, a Walter Thornton model, poses in compliance with Thornton’s edict that pictures of his eye-and-sweater-filling models would be released as usual. His announcement was made after it was disclosed that the Will Hays Office is working up an official frown for all pictures of actresses in the snug, curve-hugging garments. Hazel is considered “God’s gift” to the sweater industry.